Wake up to sunrise and join us at 9am, or Sleep in, have lunch and join us for this awesome 1 tank dive at 2pm. All we know is you will be happy you did, especially after our PADI ... morecertified Divemaster’s lead you through epic swim through’s and point out magnificent Eels, nurse sharks and if your lucky dolphins. Our group sizes are always kept from 8 or less. The Blue Hole, located in the center of Lighthouse Reef Atoll is a 1000-foot circular coral reef that drops over 400 feet into an incredible cavern. It is filled with stalactites and ... moreawe-inspiring natural formations. Half Moon Caye and the Aquarium/Eagle Ray are teaming with marine life and numerous varieties of colorful corals like sponges, fans, and gorgonians. The day starts off as early as 6:00 am, departing from our dive center and returning later in the evening at 5:30 pm. We make sure everything is in place; gear, breakfast, lunch, and refreshments. We want you to have the time of a lifetime on our full day dive package, which is why we make sure you have a safe and successful day. We prioritize our customers and make sure they are satisfied to the max in every way possible. Scuba Diving takes you to the depths of the Caribbean Sea, to the wonders of marine life to be enjoyed in its natural habitat. Scuba Diving the barrier reef and atolls is a very impressive ... moreand memorable experience. Whether it is diving the Blue Hole, canyons, the drop-off, and atolls, scuba diving offers an awesome site where you can see a rich variety of marine life. 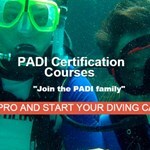 We can accommodate the novice diver and the professional diver. Along the 2nd largest barrier reef which runs the length of Belize, there are many dive spots that provide a quality diving experience. There are also atoll formations that are excellent coral habitats for diving. In the depths of the Caribbean Sea and minutes from your hotel, there is a vast variety of marine life just waiting to be experienced in all its beautiful magnificence. There are several diving trips that can be arranged. There are 1 tank and 2 tank dives. Whether you want to night dive, dive the Blue Hole or have a half day 1 tank dive at Hol Chan Marine Reserve, it can be arranged. Turneffe is the largest of the three atolls and the only one with an extensive cover of mangroves, featuring spectacular wall diving suitable for every level of diver. Because of its ... moreundeveloped, the atoll has an untouched marine life. Visibility is excellent, making it easy to enjoy the large school of horse-eye jacks, snapper, and permits. Turneffe Island makes the scuba diving an adventure like no other dive destination in the Caribbean. 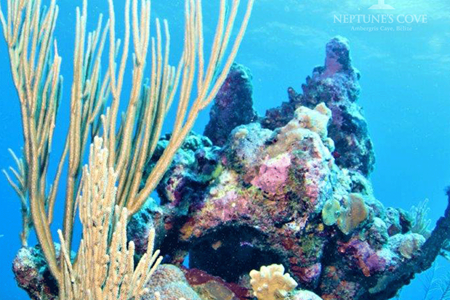 The vastness and variety of marine life and coral formations are truly unmatched. The isolation, lack of any large-scale development and the natural attributes of the atoll make it the most biologically diverse coral atoll in the Caribbean. Sixty species of birds live or migrate through here. The water teems with dolphins and sharks and crocodiles. But it’s the fish that most people come for. With visibility, up to 100 feet and such a rich marine environment we were able to see spotted eagle rays slowly flapping by like birds underwater, loggerhead turtles, colorful and diverse coral formations (soft and hard), big schools of creole wrasse which flash by in a blur of black and blue, tiny snapping shrimp (which really do snap), spotted toadfish, peppermint shrimp, dancing crabs and a remora (aka suckerfish) so big it had a smaller remora attached to it and lots more. 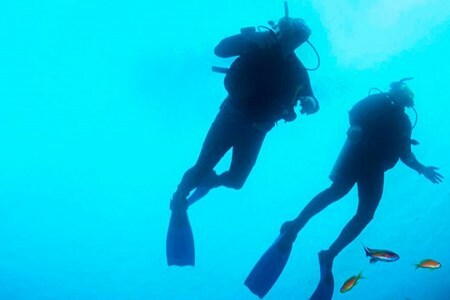 This diving adventure tour is a regular 1.5 hour diving trips done daily at scheduled times. What will you experience? The adventure experience starts from the moment we greet you ... moreto the moment we say goodbye. Our small team of divers and tour guides are not like any other, we dedicate ourselves to expose what our beautiful Belize has to offer. Adventuring out with out crew members is unmatched by any other, we are trained and experience tour guides that will make sure you don’t miss any fun fact while diving at our local reef. Our 1-tank dive trip offers fascinating experiences and the most exotic and breathtaking underwater corals and creatures. Encounter yourself with unique and unrivaled marine life. 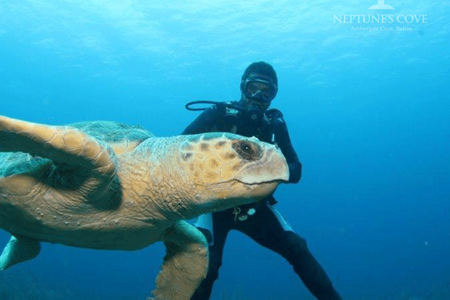 Dive with us into the impressive territory of the cold-blooded creatures and coral formations. Glide among sea fans, sponges and gorgonians as the drifts you over canyon formations where large groupers, turtles, eagle rays, nurse sharks and various tropical creatures reign. 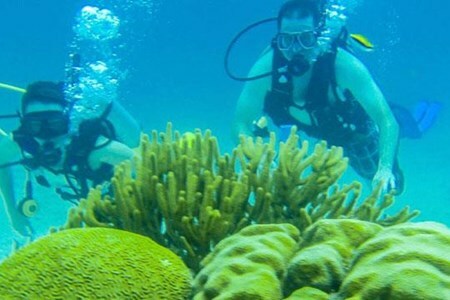 This diving adventure tour is a regular 2 hours diving trips done daily at scheduled times. What will you experience? The adventure experience starts from the moment we greet you to ... morethe moment we say goodbye. Our small team of divers is dedicated to exposing what our beautiful Belize has to offer. We are trained and experienced tour guides that will make sure you don’t miss any fun fact while diving at our local reef. 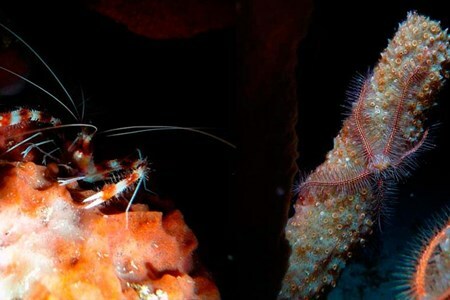 Our 2 tank dives offer a very fascinating experience of the most exotic and breathtaking underwater corals and creatures. Encounter yourself with the uniqueness of our Barrier Reef. 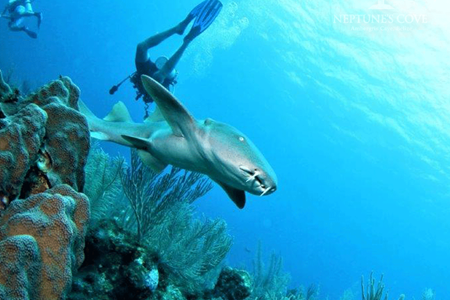 Dive into the impressive territory of the Belize Barrier Reef creatures and coral formations. Glide among sea fans, sponges and gorgonians as you drift over canyon formations where large groupers, turtles, spotted eagle rays, nurse sharks and various tropical creatures live. Experience something else, Experience marine life at the height of it’s existence! The experience starts from the moment we greet you to the moment we say goodbye. Our crew members ... moreare trained and experience tour guides that will make sure you don’t miss any fun fact while night diving at our local reef. 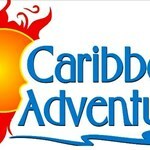 Caribbean Breeze Tours can assure you memories that will last you forever. This is a trilling dive experience like no other. 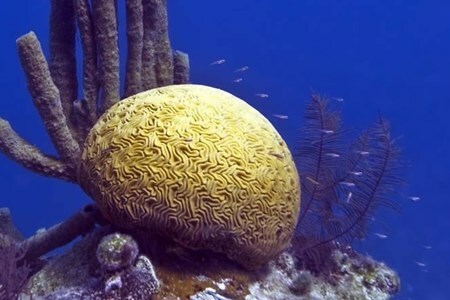 This tour will take you that extra mile in exploring the marvel of marine life at Belize’s Barrier Reef. Encounter species that go to hiding during the day but come out to feed and play during the night. Shine your dive light into the openings between corals to look for red hermit crabs, lobsters, shrimps, brittle starfish, octopus changing color right before your eyes, squids, eels, Spanish dancers, toad fishes, frog fishes, sea slugs, blue tang, tarpon, barracuda, sharks, rays and many colorful reef fishes.